﻿In ThetaHealing®, the concept of manifesting is the Belief that it is possible to create something into the physical using the connection to the Creator of All That Is. Every statement, thought and action is reflected by what we are manifesting in our lives. Every decision is made upon the mirror reflection of what we choose to create. 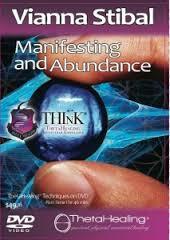 What we think and say have a direct bearing upon whether our manifestations are for our benefit or detriment. If you constantly say that you are poor, you will be. If you constantly say and think that you are financially abundant, you will be. It is of the utmost importance to stay on a positive mind set. This course uses an amazing questionnaire to assist you to find the many surprising and deeply hidden blocks standing between you and your goals. It shows you how to dig deep to clear them; teaches you about intention and Divine Timing, followed by how to make everything in your life work for you. You are then given all the positive new Feelings you need to establish abundance in your life. Many people attempt to use ThetaHealing® to download complete financial success without first Energy-Testing themselves to find what may be blocking them. In some instances, these people become upset when they do not achieve immediate results. In this class you will learn how to clear these possible blocks, how to make a plan, to set your intentions, and follow through on your ideas to achieve your successes. This is not a get-rich-quick manual, but rather a universal tool of self discovery to utilize your potential to become rich in all aspects of your life. Class Includes: ThetaHealing® Manifesting and Abundance Manual, Practitioner's Certificate and Manifesting from the Seventh Plane Meditation CD. March 2-3, 2019. Newmarket, Ontario. Saturday - Sunday. 9:30 a.m. - 5:00 p.m.
​If you don't see an upcoming date - just ask!